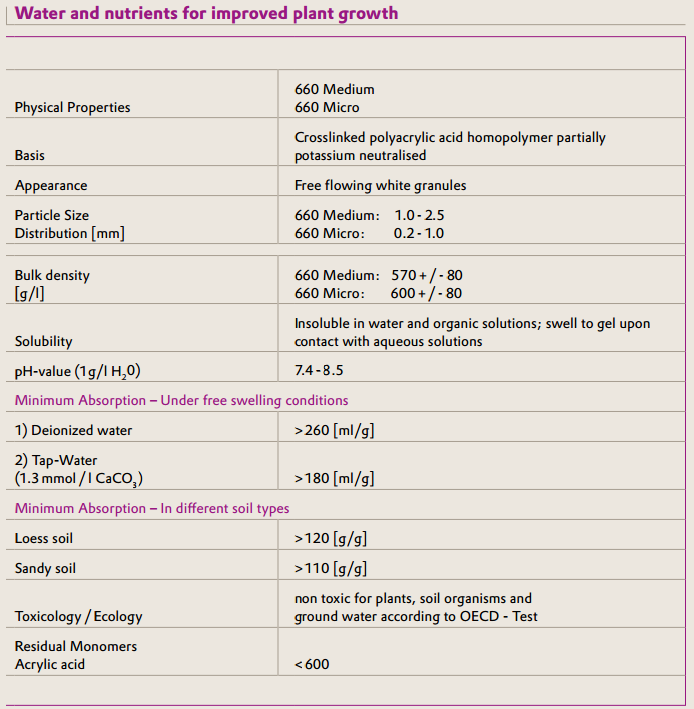 STOCKOSORB® increases the plant available water holding capacity, aeration balance and structure of soils, substrates and potting mixes. Water and nutrients are available to the plant for a longer period of time, resulting in stronger and healthier plant growth even under hot and dry climatic conditions. As STOCKOSORB® stores water in the root zone, water deep percolation as well as fertilizer leaching can be prevented. This allows for a reduction in irrigation frequency and thus irrigation costs. STOCKOSORB® increases soil porosity and enhances the water infiltration rate of soil to an extent that surface water run-off and soil erosion can be significantly reduced.